RapidLite is a 100% free, easy-to-deploy, and zero-commitment solution, making it many agencies' first tool to access life-saving emergency data from the NG911 Clearinghouse. Whether you are planning to use RapidLite or recently signed up, this article serves as a comprehensive guide to operationalizing RapidLite in your PSAP. If you don’t have access to RapidLite yet, watch this news clip to see how LAPD is using the tool to locate callers. We encourage every PSAP to claim their agency's free RapidLite account to get immediate access to rich emergency data, including fast, accurate 911 caller location from iPhones and Androids. 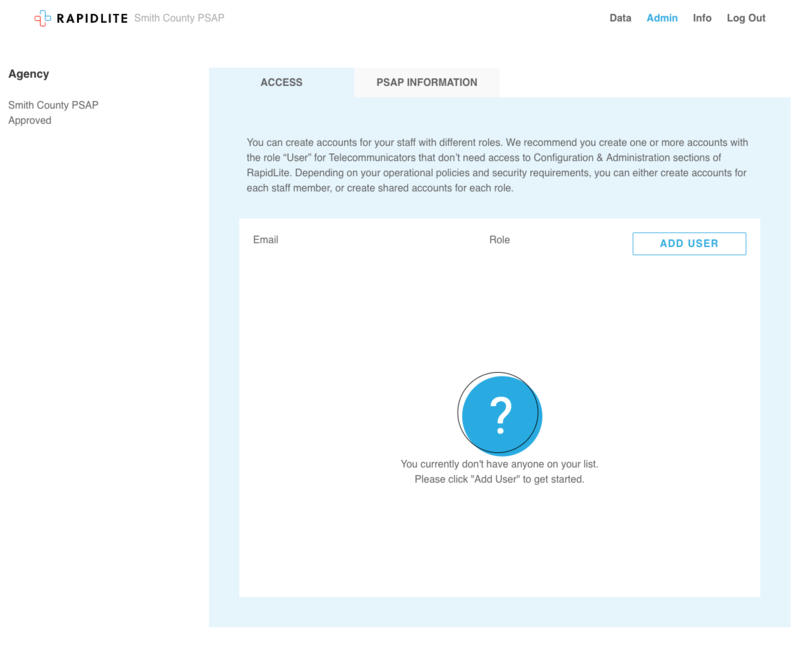 The first step to use RapidLite is to have an admin at your agency sign up for an account at www.rapidlite.com. The process to sign up should take about 5 minutes and involves designating a geofence for the region where you accept 911 calls. Quick tip: Due to strict security requirements, after you sign up there is a 2-4 weeks approval process to ensure the request was made by an authorized PSAP. While you are waiting for your account to be approved, train your telecommunicators on the tool by using RapidSOS’ comprehensive training portal. The training portal includes general location and NG911 Clearinghouse information, as well as dedicated RapidLite info. 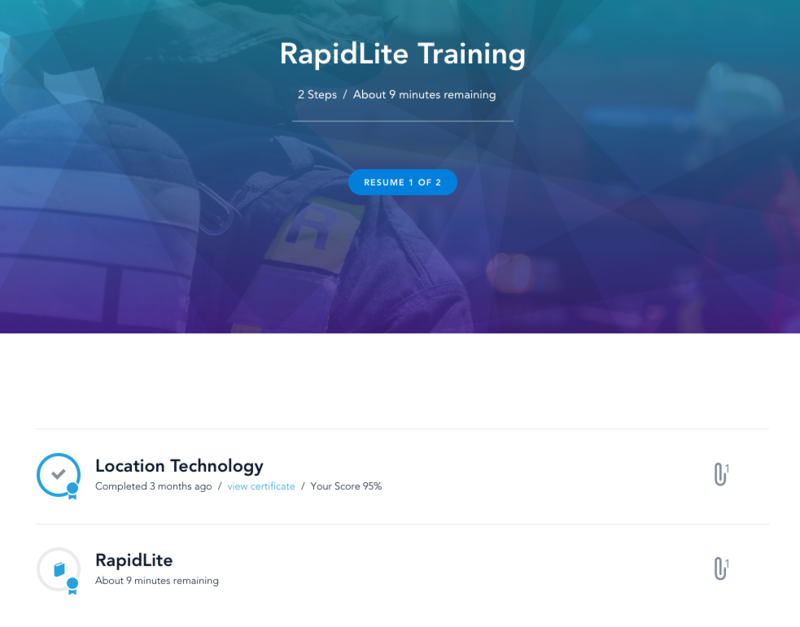 Once you sign up for RapidLite, you will receive an email from our team with your PSAP’s unique training ID to get access to the portal. 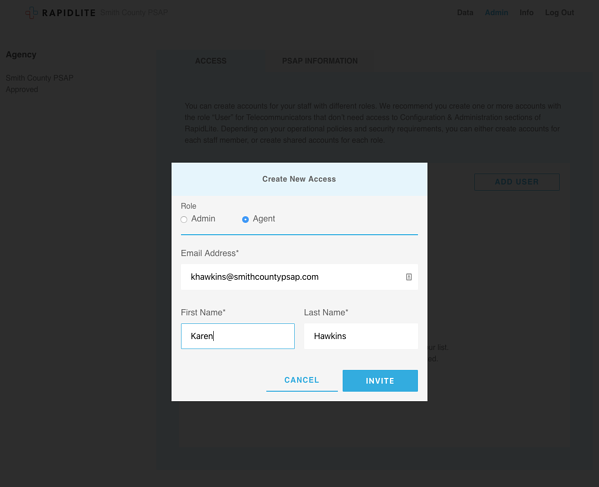 Once your agency's RapidLite account has been approved, you are ready to begin testing. Simply place a 911 call from your PSAP’s designated geofence from an enabled device. An enabled device is any Android phone version 4.0+ or an iPhone on iOS 12. Quick tip: Toggle on “see historic locations” to see locations update in real-time. Admins have access to configuration settings. Admins should add telecommunicators as users. Users can query for caller information, but cannot modify any admin information. To give your telecommunicators access, follow these instructions to add agents for your PSAP. While RapidLite is often the first step to receive access to the NG911 Clearinghouse, over 1,000 PSAPs across the country currently access supplemental data from the NG911 Clearinghouse through their existing call-taking, CAD, or mapping software. 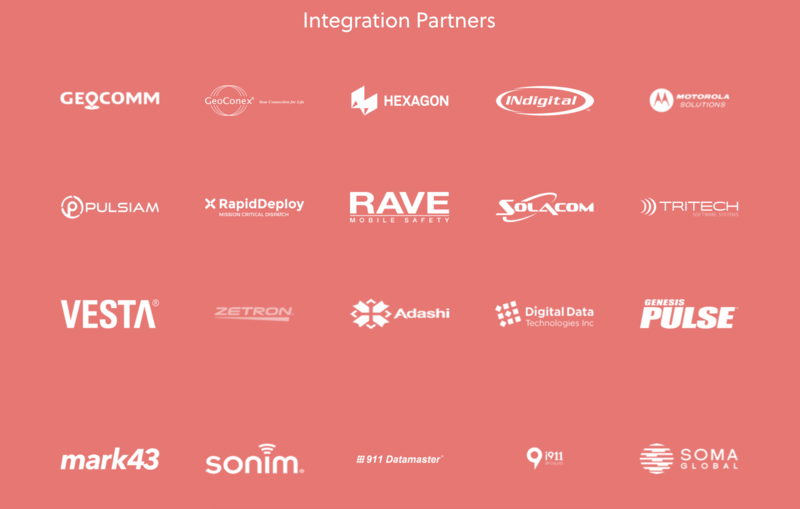 RapidSOS has developed integrations with every major public safety software provider, so each PSAP can implement emergency data from the Clearinghouse using the best method for their agency. Quick tip: Data from the Clearinghouse is entirely supplemental and does not impact ALI information. Integrating data from the NG911 Clearinghouse with PSAP software allows telecommunicators to receive supplemental data directly in their existing dashboards and workflows. In addition to this streamlined process during vital, high-stress moments, the full integration with the Clearinghouse offers several unique benefits and features. Integrated workflow: With the full integration, information from the Clearinghouse appears as additional data in existing software windows – providing life-saving emergency data in the tools telecommunicators are already familiar with. This also allows telecommunicators to compare the ALI location with the location from the NG911 Clearinghouse as both are linked together in the same dashboard. Automatic querying: Location and additional data automatically populates in PSAP software windows when a call comes in from an enabled device. With RapidLite, telecommunicators need to manually query caller location for every call. Caller history: Telecommunicators can view locations received from previous 9-1-1 calls from the same device through the software integration. With RapidLite, telecommunicators do not see a history of 911 calls initiated from the same caller. Fill out the form below and a member of our support team will be in touch soon.